I added a power LED and changed the layout so that all the parts are on one side of the PCB. 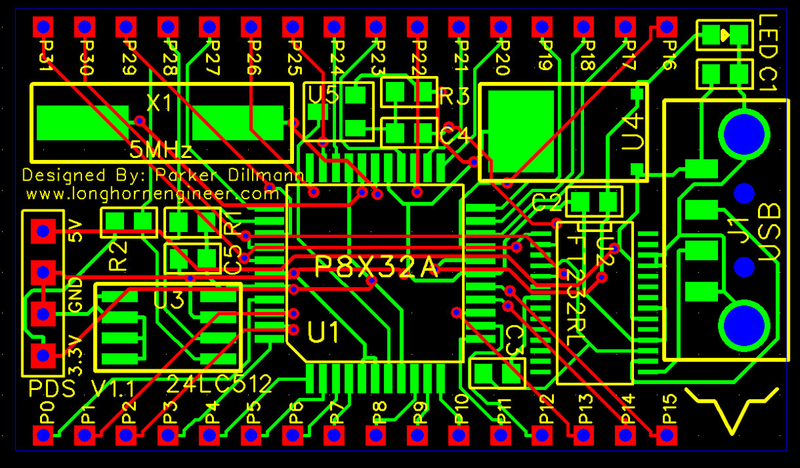 It is still a double sided PCB but having all the SMD parts on one side reduces the cost a bit. I changed the headers a bit so that they are the standard .1″ spacing so “shields” could be made for it. The final size is 47mm x 27mm and would cost roughly $1 per board. Can you please post the layout of Lolshield PCB v1.5?